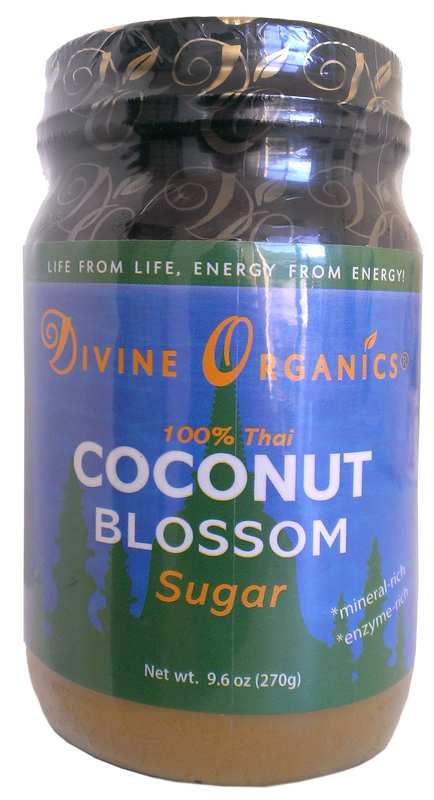 Thai Coconut Blossom Sugar Profile Major Nutrients in Thai Coconut Sugar compared with Brown Sugar Nutrient (ppm or mg/L) Coconut Sugar Brown Cane Sugar Nitrogen (N) 2,020 100 Phosphorous (P) 790 30 Potassium (K) 10,300 650 Magnesium (Mg) 390 70 Chloride (Cl) 4,700 180 Zinc (Zn) 21.2 2 Iron (Fe) 21.9 12.6 Functions of Selected Nutrients in Human Body P needed for bone growth, kidney function and cell growth K helpful in treating high blood pressure Mg essential for enzyme activity for Ca and K uptake Ca vital for strong bone and teeth for muscle growth and contraction Zn called "intelligence mineral" required for mental development and healthy reproductive organs (prostate gland) Fe vital for healthy blood, its deficiency is associated with mental development, problem with immune system Cl ions provides electrical neutrality (acid-based body balance) and correct pressure of body fluids; balance electric charges in human nervous system Source: Cruz et. al. 2006 as cited by Secretaria et. al. 2006 Coconut sap sample: sweet, oyster-white, transluscent and neutral in pH (Ticzon et. al. 1997) As analyzed, coconut sap has sucrose content of 165g per liter; each tree can yield up to 1.38 liters of coconut sap per day (Magat, 1991). The physical and chemical composition of coconut sap (Table 1) indicate it is rich in amino acids, specifically glutamic acid (Table 2), and vitamins (Table 3) (PCCARD, 1993) Table 1. Physical and chemical characteristics of coconut sap. Parameter Range of Value Specific gravity 1.06 - 1.07 Total solids (%) 17.4 - 18.7 Sucrose (%) 14.8 - 16.6 Reducing sugar (%) Trace - 0.3 Crude protein (%) Trace - 0.4 Ash (%) 0.3 - 0.4 Acidity (%) Trace - 0.1 pH 6.0 - 6.4 Source: PCCARD, 1993 Table 2. Amino acid content of freshly-gathered coconut sap. Amino Acid Value (g/100g) Histidine 1.19 Arginine 0.35 Aspartic Acid 11.22 Threonline 15.36 Serine 8.24 Glutamic Acid 34.20 Proline 3.52 Glycine 0.47 Alanine 2.56 Valine 2.11 Methionine - Isoleucine 0.48 Tyrocine 0.31 Phenylalanine 0.78 *dominant amino acids Source: Kozaki, 1974 as cited in PCCARD, 1993. Table 3. Vitamin content of freshly-gathered coconut sap Vitamin Value (mg / dl) Thiamine 77.00 Riboflavin 12.20 Pyridoxine 38.40 Para-aminobenzoic acid 47.10 Pyridoxal 38.40 Pantothenic acid 5.20 Nicotinic acid 40.60 Biotin 0.17 Folic acid 0.24 Inositol 127.70 Choline 9.00 Vitamin B12 trace dominant vitamins Source: Kozaki, 1974 as cited in PCCARD, 1993.